In general you want to keep R1 much smaller than R2, as indicated. 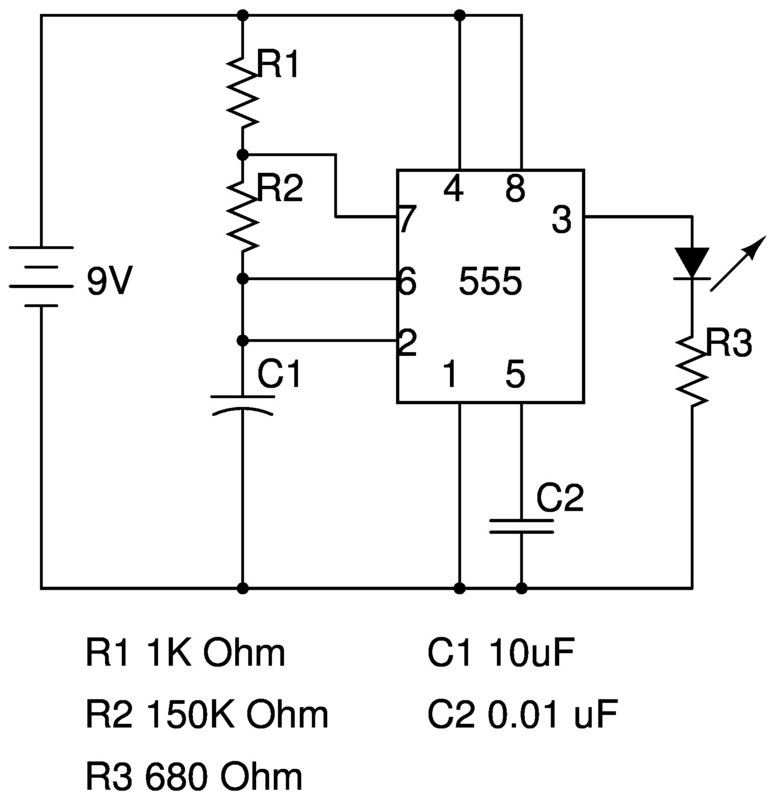 This circuit will work with any logic level N-channel MOSFET, such as the RFP12N10L. 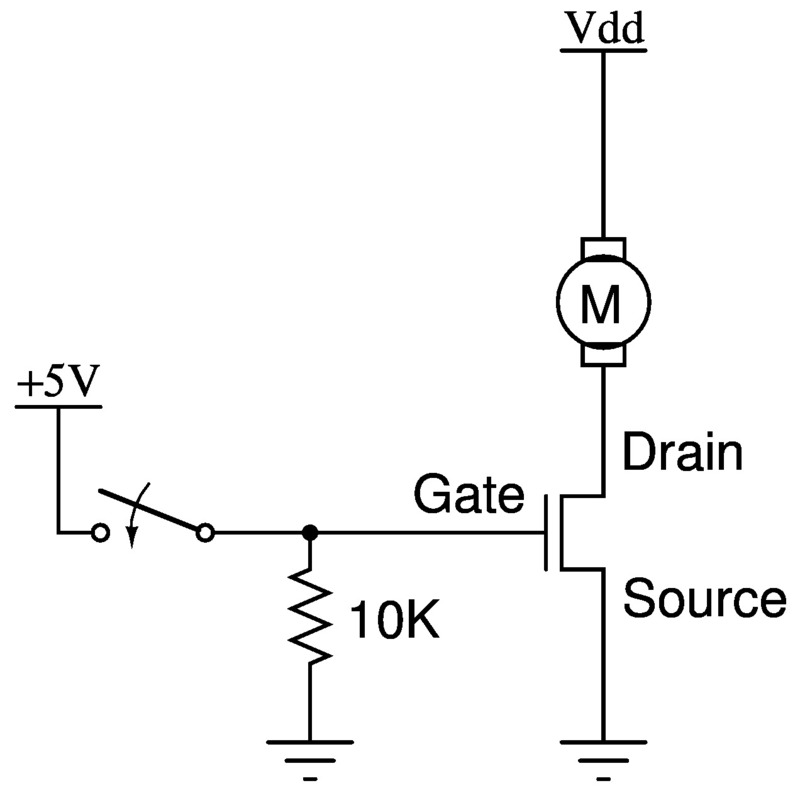 The datasheet for this transistor is here. With the switch open, the 10K pulldown resistor makes sure the transistor is turned off and the motor should be off. Closing the switch will turn the transistor on and hence the motor on. Once you have confirmed the correct operation, you can replace the switch with any 5V signal, such as the slow blinker above, or an Arduino digital output.